My Mother inspired this blog. 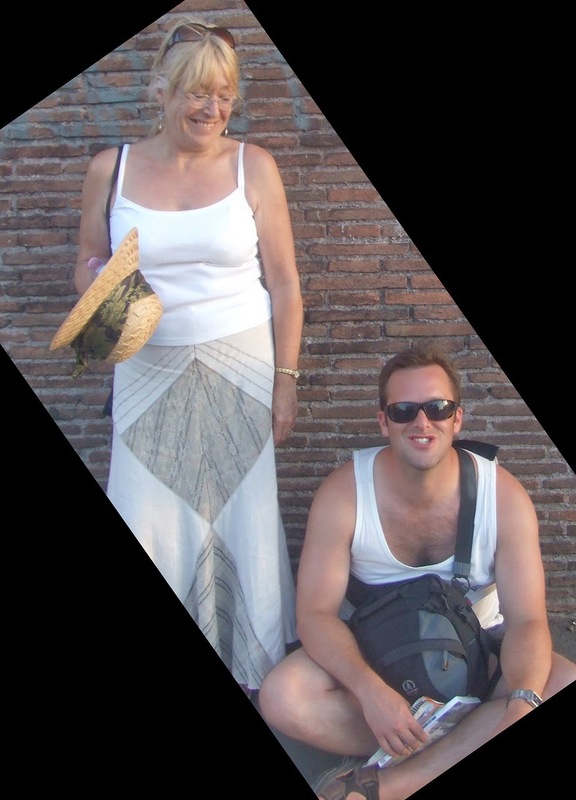 When I was forced to retire from the ambulance service in 2012 due to a back injury, it was Mum who directed my continued concerns about the direction of pre-hospital healthcare toward writing about it. Together, we created the Broken Paramedic and she became my editor, my confidante and my co-conspirator. Her positive outlook, her passion for seeing others properly cared for, her attention to detail and her drive to push for what is right was at the core of everything we were trying to achieve. Her approval and guidance empowered me to continue fulfilling my desire to contribute to a critically important cause despite my career ending. As a North Norfolk resident, Mum's locality was one of the worst affected by the failings of the emergency ambulance service. As I wrote, she supported me, advised me and championed the cause. She pushed the issue in the direction of her MP Norman Lamb, now Minister of State for Care and Support. He challenged the status quo. People listened and wheels turned. Over the following two years, positive changes did indeed occur. There was a change of leadership at the East of England Ambulance Service and many of the issues we clamoured about on this blog began to be addressed. Because of this blog and Mum's support, I had the opportunity to write for a national newspaper, and to appear on television and radio to push the issues that were important to us. Things in the ambulance service and the wider healthcare environment are still far from optimal, but I like to think that in some way, Mum helped to change her corner the world for the better. I dearly hope so, because yesterday she died. In a cruel twist of fate, the life of a bright, vivacious and health-conscious woman of 63 years was prematurely ended by a rare disease which no amount of healthcare could prevent. In January, Mum started to become confused and weary – symptoms everyone initially accredited to the emotional and physical impact of her steadfast support of my 9-year-old nephew's ongoing leukaemia treatment, which involves regular visits to distant hospitals for chemotherapy. But by February, her symptoms began to affect her physically as her motor function became impaired and she began to suffer hallucinations. As she deteriorated, and under-resourced and unprepared NHS services struggled to reach a diagnosis, I began to spend more and more time at Mum's home, trying to help her and my Step-Father manage her worsening condition and get to the bottom of the problem. By March, I had practically moved from my home in Hertfordshire to become a full-time carer. My two sisters, who both live near to Mum but were already stretched thin by their own life challenges, dug deep and did their best to help too. It wasn't until the week preceding Mother's Day in late March when Mum was admitted to the neurology ward at Norfolk & Norwich University Hospital that a diagnosis was finally reached. She had a rare disease affecting the prion proteins of the brain causing rapidly progressive dementia: sporadic Creutzfeldt-Jakob disease (note: NOT the variant CJD made famous in the 90s due to infected meat). There was no treatment, no cure. It was 100% fatal and the speed of her decline meant that she had mere months. Determined to free Mum from an awful ward environment, we took her home from hospital in time for her last Mother's Day. We had to fulfil a promise that we had never thought we would need to keep, not so soon; we would not leave her to the care of strangers in some far-flung ward, care home or hospice. What followed was a harrowing month in which my family and I fought an unwinnable fight to keep Mum comfortable and healthy as the torturous disease took its course. The NHS community support was fantastic, with equipment, medication, GP and nursing support readily available. With their help and along with my sisters, who between them have years of medical and care experience, and a family friend with a lifetime of nursing experience, we could not have provided a better environment for Mum to live out her final days. We did our best to make her feel safe and loved despite her horrendous condition and increasingly debilitating health. The entire experience is not one I can readily talk about in depth yet, but it did force me to see the successes and failings of our healthcare systems from a perspective I never thought, nor wished, I would have. For me, it brought into focus things that should be questioned and challenged. But not today. Today I mourn. Writing this post is my first step toward trying to remember who my Mother was before the sporadic CJD stole her personality, her health and her life. My Mother, a former nurse turned master dressmaker, was an amazing woman who deserved a longer life and a better end. Not only was she an inspirational parent, but also a wonderful friend, my moral compass and a shining example of all that is best about human nature. The world is a darker place without her.